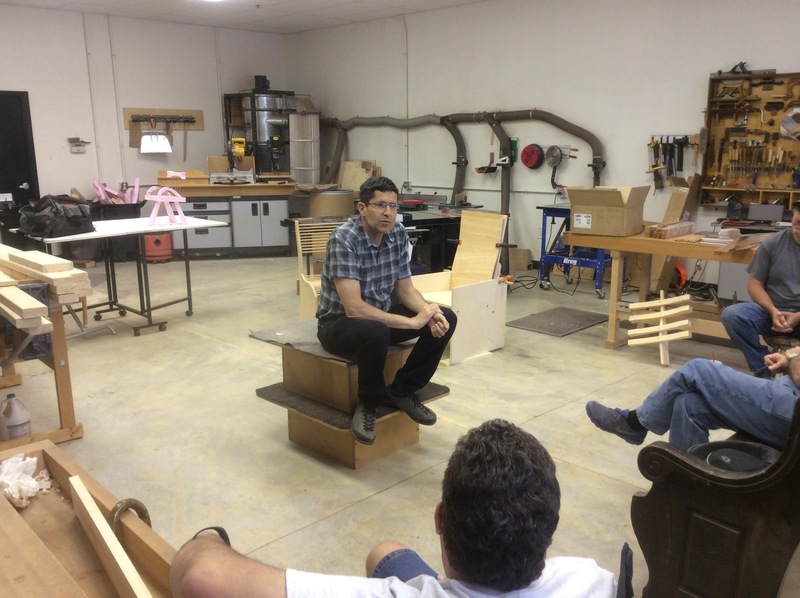 This past weekend I had the opportunity to take a chair design class with Jeff Miller who came to speak at our Cumberland Furniture Guild meeting. This was a condensed version of Jeff’s normal class, but we had the opportunity to explore design ideas by sketching, small scale modeling, and full scale mock ups. I worked on a variation of my bent lounge chair. Most of the concepts Jeff discussed were really not all that revolutionary to me, but perhaps the biggest takeaway was that design is a skill that can be cultivated like any other with practice. It’s tough to form new habits, but putting more effort into refining my designs before construction begins is something I hope to achieve.